Grasshoppers are part of the order of insects known scientifically as Orthoptera. They may be found throughout the world and, as their name implies, they live primarily in grassy areas, such as fields, forests, meadows and woodlands. Grasshoppers have chewing mouth parts called mandibles but are herbivores, meaning they eat only plant-based food, not other insects. 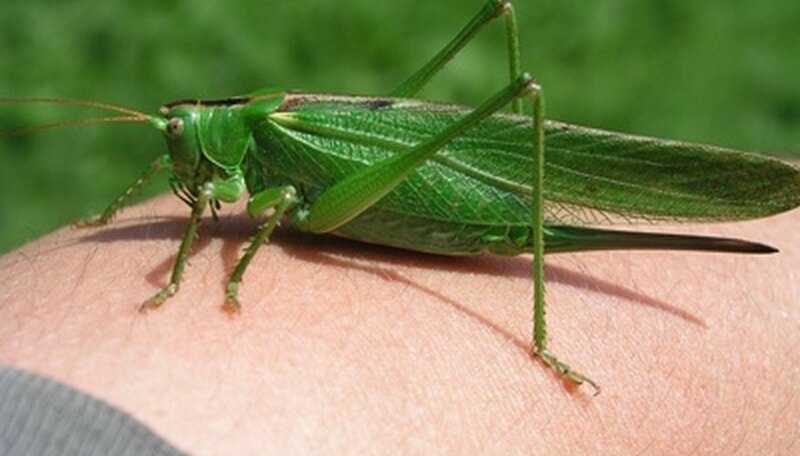 Canadian Geographic estimates there are approximately 18,000 species of grasshoppers. Like all insects, grasshoppers' bodies are essentially divided into three major sections: the head; the middle section, known as the thorax; and the rear, known as the abdomen. Grasshoppers have three pairs of legs, two sets of wings, two antennae, two large multi-faceted eyes, two hearing organs and a hard outer protective casing, the exoskeleton. Grasshopper females lay eggs in the summer. Eggs do not hatch until the following spring, meaning babies, or nymphs, can develop inside of the eggs throughout the fall and winter. After hatching, grasshopper nymphs are wingless and possess undeveloped reproductive organs. It takes 30 to 40 days for nymphs to grow into adults. 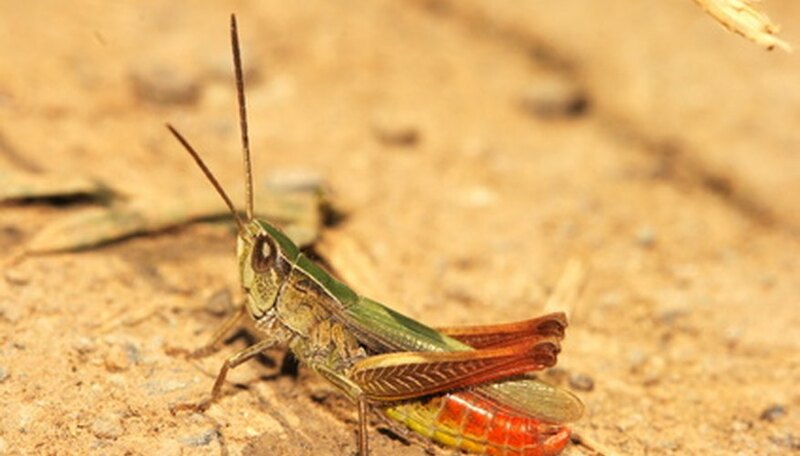 After reaching adulthood, grasshoppers' lifespans average 50 to 60 days. As A-Z Animals points out, this means grasshoppers spend much of their lives inside of their eggs. 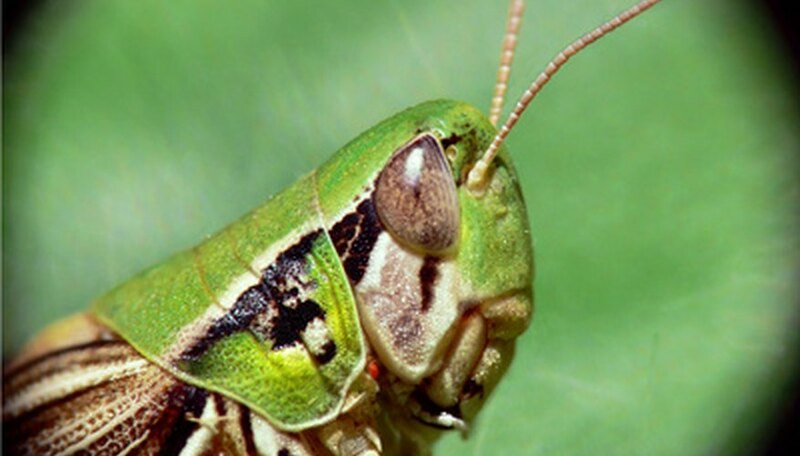 The head of the grasshopper is where the brain, antennae, eyes and mouth parts are found. Mouth parts contain the crushing and chewing jaws known as mandibles. In general, grasshopper antennae, used for feeling and smelling, are short, though there are some grasshoppers that feature larger antennae. The eyes are large and contain many hexagonal lenses. Directly behind the head is the plate-like structure known as the "pronotum," which is meant to protect a grasshopper's thorax. The thorax, or midsection, is where the wings and legs of the grasshopper are situated. The two front pairs of jointed legs are smaller than the third pair of hind legs, and these two sets of front legs are used for holding food and for walking. The hind legs are used for hopping and jumping. All of the legs feature feet called "tarsi." The set of wings closest to the head is called the "tegmina," and these wings are narrower and thicker than the second set of wings. The second set of wings is lighter and thinner, and these wings provide three times more flying force than the front wings. The rear of the grasshopper is called the abdomen. This is where the reproductive and digestive systems are. 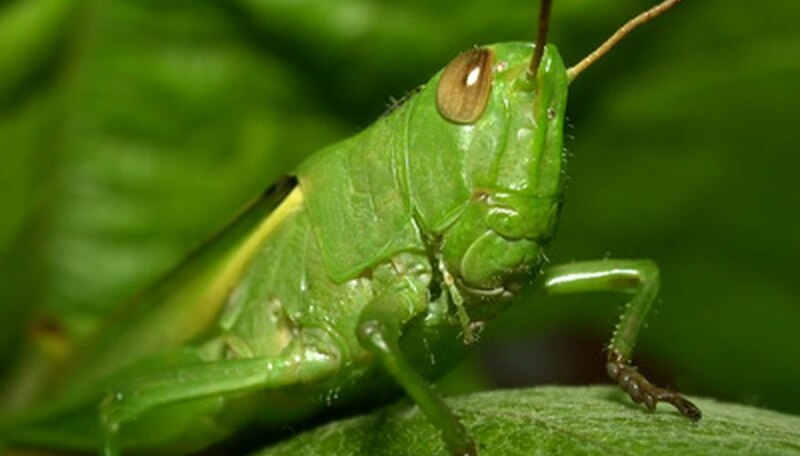 The abdomen is also where the grasshopper's breathing holes, heart and hearing organs, or "tympanum," are found. 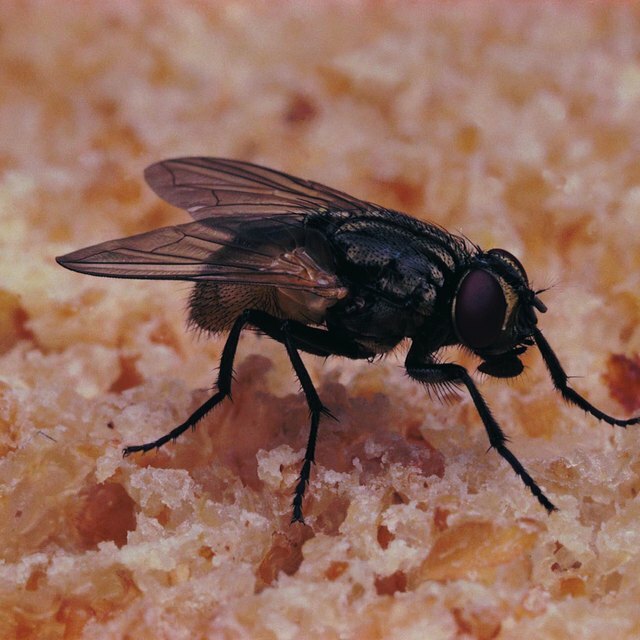 The abdomen is fused to the last segment of the thorax, also known as the "metathorax." Adult, fully-grown grasshoppers vary in size, depending on the specific species. The general size range is from 2 to 5 inches long. Katz, Jeff. "Structure of Grasshoppers." Sciencing, https://sciencing.com/structure-grasshoppers-6757677.html. 25 April 2017.